Enjoy a UK Canal Boat Holiday. Cheap online hire when you book online. Your canal boat holiday can be from a little as 3 nights to 14 nights, it's up to you! The waterways of the UK provide one of the most relaxing and rewarding holidays around and canal boat holidays are also one of the 'greenest'. Starting from the moment you board your canal boat, a holiday cruising through some of the country's most breath taking scenery, working the locks or sitting back with a glass of wine won't 'cost' the earth. We have 16 locations throughout the United Kingdom. I have never hired a canal boat before, will I be able to manage it? Yes, we give you canal boat and lock training with your own personal trainer - All included in the price you pay! Operating our canal boats is as easy as 123, you have forward, neutral and reverse.The canal boat travels at only 3 - 4 miles an hour. Join the thousands of people who enjoy cruising on a canal boat on the picturesque canals of England each year. 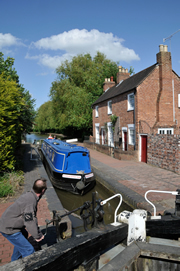 Each canal boat is specially designed to include all the amenities and comforts you could need whilst on the canal. 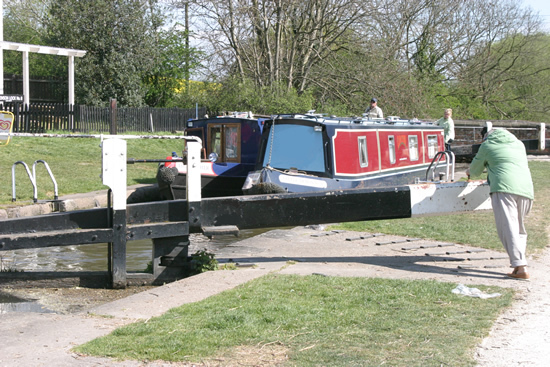 All of our canal boats are maintained to the highest standards by our professional in house teams who are on hand to help you 24 hours a day, 7 days a week. The canal boats come in various sizes from 2 to 12 berth. Copyright (©) 2008-2019 cheapcanalboathire.com All rights reserved. A Canal Boat Holidays web partner.